Michelle started in dental assisting at an orthodontic office in 1989. That was the spark that ignited her passion for a career in dental assisting. She achieved her radiology certification in Maryland while her husband was serving in the US Army. When Michelle and her family came back to New Hampshire, she started working in a general dental practice as a chairside dental assistant. It was while working there in 1996 that she challenged the DANB certification exam and became a Certified Dental Assistant. Through the years, Michelle has continued to meet her requirements to maintain this certification as well as achieving other certifications for expanded functions duties. 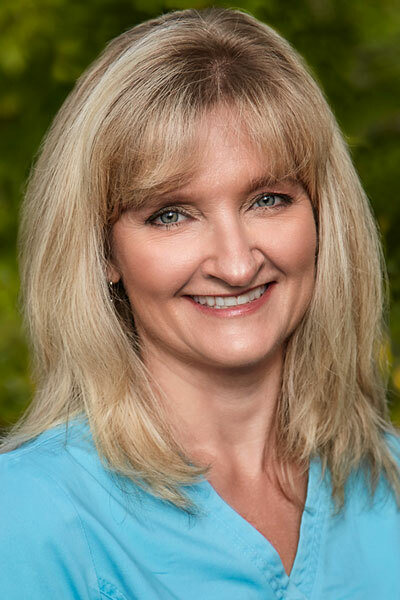 Michelle has been with Dr. Rosato since 2008 and enjoys working with such a dedicated and compassionate doctor. Understanding our patients’ needs and meticulously working with Dr. Rosato to achieve a comfortable and satisfying experience for patients is top priority for her! Outside of the office, Michelle enjoys spending time with her husband, Marc, their son, Nathan, daughter-in-law, Tori, and their daughter, Sonja. She also enjoys Zumba, yoga, reading, and a newly found interest in kayaking!